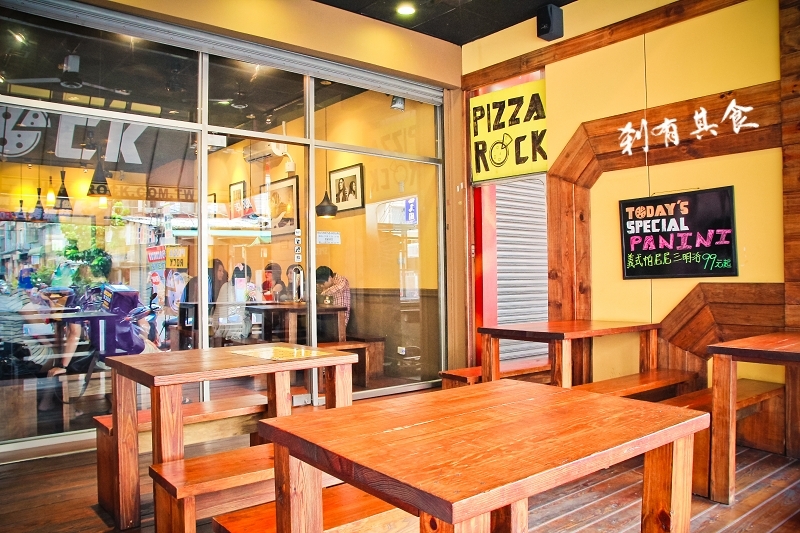 Until today, I barely knew about Pizza Rock, but I am happy to say it’s the best pizza in Taichung. I had heard a friend mention it two months ago, but I had no idea where it was. Imagine my shock as I drove through my old neighborhood to find a (relatively) new pizza joint called Pizza Rock. It has a great location, just at the edge of Little Europe. My former favorite, only a few blocks from Pizza Rock, isn’t open Monday and rarely finds a way to serve any food before 6pm. Imagine my luck when I pulled up on this place. So, I walked up to the restaurant, wondering what I might be getting myself into. You see, this is Taiwan, and pizza is…well…let’s just say it’s not a traditional food. Even the Pizza Hut here has a pie with nothing but seafood and mayonnaise on it – picking-and-choosing pizza here is like picking-and-choosing sushi in the USA. Just because it says it’s what you want doesn’t mean it’s really what you want. But this place is absolutely charming. The tables may be my favorite part of the decor. Great layout with massive bonus points for the fully visible kitchen behind the counter! Cool tables; cool art, cool lighting…this place really nails it! I showed up at around 3pm on a Monday; I didn’t say anything about being a writer (or how many hits I get). And I prefer it that way. I know some guys who tell an establishment they’re a reviewer beforehand, and I think that’s a real disservice to my readers. Just like you, I step in like any other Joe, cruising the menu and deciding what I want, so I’m sure to get the same experience as anyone else walking in off the street. The big thrill was seeing that a 12″ cheese pizza costs a mere NT$180 (US$6.00); a 12″ pepperoni-and-mushroom only costs NT$260 (US$9.00)…though, if you order a cheese pizza and then add mushrooms and pepperoni to it…it only costs NT$240 (US$8.00)…that part is a little odd. Does the price correspond to quality? And I only going to get seven pepperoni on my pie? How much of this stuff is coming out of a can? The answers are, in order: no, no, and none of it. The crust is perfectly thin with a crisp edge that’s not-so-crisp that it’s like a cracker. For those who love pizza, you know how hard it is to make that happen – crust is often too doughy or too dry. Turns out, they import flour from Canada, to make sure they make it right. The ingredients are fresh and organized property on the pie – bread, sauce, cheese, toppings. The sauce isn’t too thick/thin, nor is there too much/little of it; to me, it’s a sweeter sauce, but not too sweet. They don’t skimp on ingredients, either: you get 15 pepperoni slices on your 12″ pie, which is pretty good, considering you get mushrooms on top of that. But enough of my blah-blah! Here’s the pizza, as I first saw it when I opened the box at home. But there is a flaw…can you see what it is? Yes, my friends, the flaw is there, on that beautiful Circle of Saucy Cheesy Goodness…and I won’t keep you in suspense any longer! That’s it. That’s The Flaw. The closest thing to a bad thing is that the pizza came as six slices instead of eight. You can imagine what state of outrage I was in, to write this blog a couple of hours later. Despite being a six-slice pie, they were precision-sliced – one of the most evenly-sliced pizzas I’ve seen in a long time. although it’s all in Chinese. I did learn that the owner’s ancestors are from the same part of Italy as my people…not that I let paisan relations to effect my review, or anything…but it does tell you how serious the guy is about pizza. Reports have told me that he even went to Abruzzo to study pizza, just to make sure he got it right, to bring it back here to Taichung for the rest of us to enjoy. 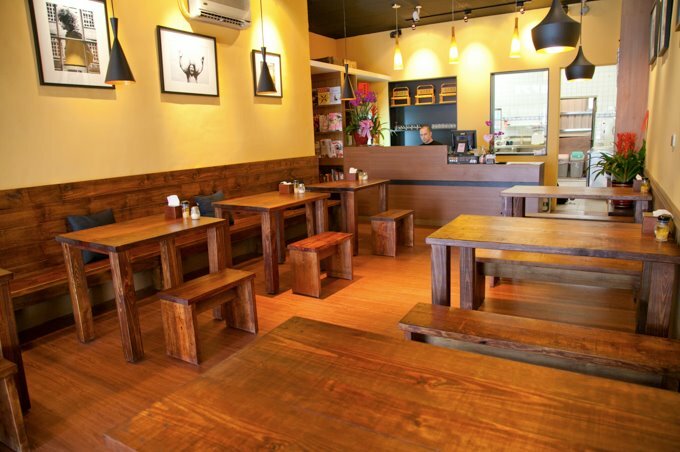 If you’re searching “pizza Taichung” on Google, this is Taichung pizza at its very best. Their website has a great menu and be sure to browse through it – they do calzone and panini, as well. If you spend more than NT$500, they’ll deliver it for free. 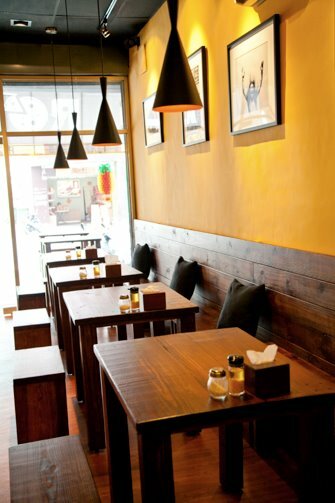 Whether you dine in or carry out, there’s no service charge. What are you still doing reading my blog? 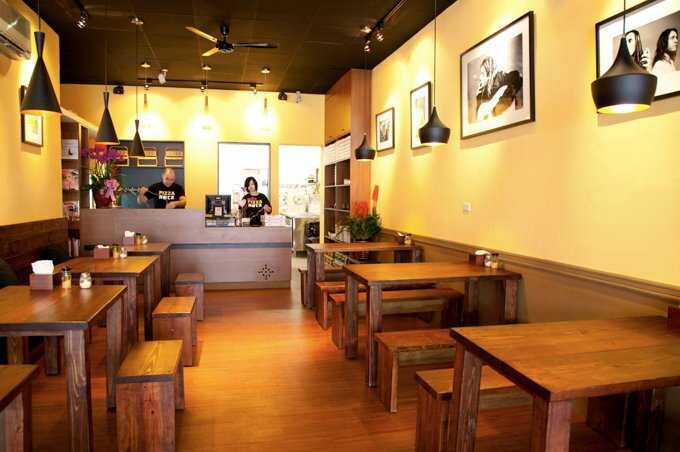 Go get some of the best pizza in Taichung! This entry was posted in Taiwan Writings and tagged best pizza, best pizza in taichung, cheese, dough, italian, italy, jin cheng, jincheng, jing cheng, jingcheng, pepperoni, pie, pizza, pizza pie, pizza rock, pizza taichung, rock, sauce, slice, slices, taichung, taichung city, taichung pizza, taiwan, the best pizza, za. 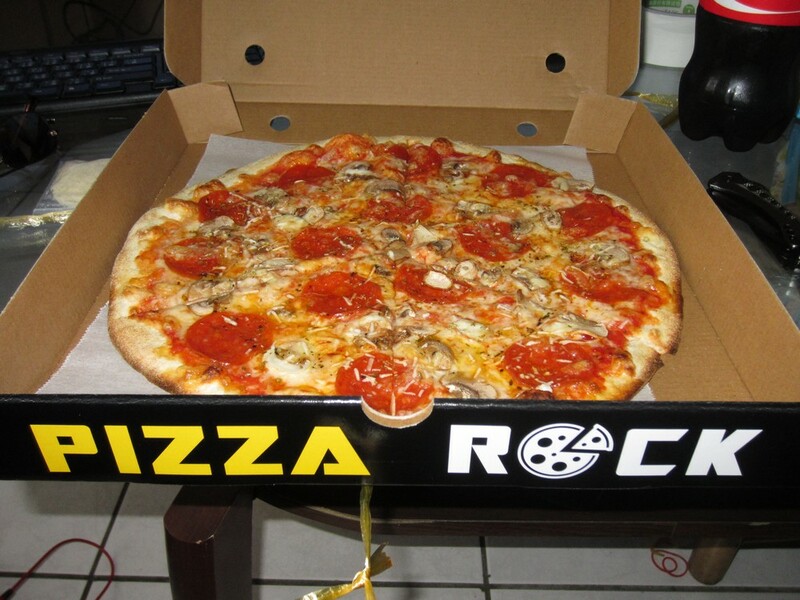 We’ve had a hankerin’ for pizza since we got back…Too bad we didn’t know about Pizza Rock! 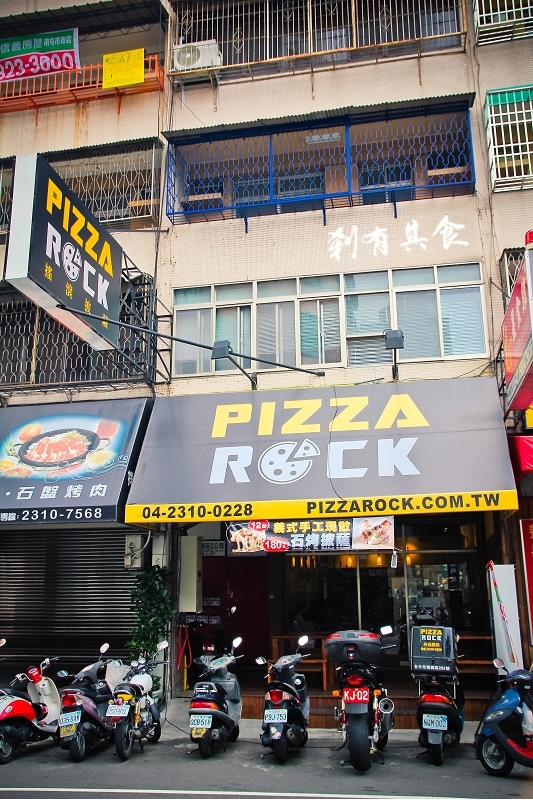 Well, get this: Pizza Rock is just before you got to the corner to turn right on GongYi off of JengCheng, when you walked to my place – it would have been on the right. hehehe this is so funny man, u live in taichung and been there for so long and only now u go there? wow! one day couple of months ago, i was driving by in the car & stopped and eaten there. i had a big cheese pizza (only 180nt) that was amazing, too bad there are so far away from where i am living now. that pizza is much better then costco pizza and much cheaper as well. best pizza i found in taiwan, other then pizza hut for super supreme. Hi! Have you been in Taichung long? There are at least a handful of places that shame Pizza Rock! Pizza Rock is okay pizza, but, please don’t stop there in your search for the best! I eat at pizza rock often. The pizza is..okay and the atmosphere is nice and it is a great place to meet up with your friends, but please, try La Pala Pizza, Il Volo Pizza, Puzzle Pizza. All of these are very very good. Also if you are in Taipei, try Zoca pizza. Pizza Rock is NOT the best!